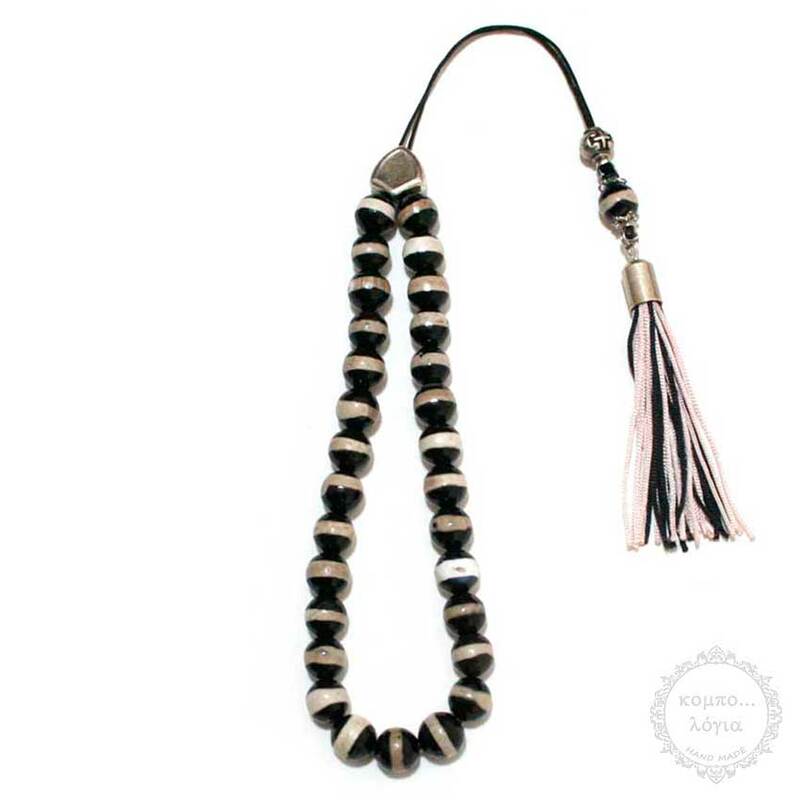 Prince Agate handmade komboloi created with 29+1 natural Gemstone Agate round faceted beads of 10mm diameter with original tibetan silver metals, 35cm total length, 28cm + 7cm tassel, and 49g total weight. It comes with a free leather vintage gift pouch. Very rare old Agate stone and hard to find.